The fund, which is capitalised presently by 54 JSE-listed firms (having grown from 48 who’d committed earlier), was launched in 2016 by Discovery CEO Adrian Gore and former Bidvest chair Brian Joffe under the CEO Initiative, in which the government aimed to get the private sector to resuscitate the economy. The Public Investment Corporation (PIC), which manages government employees’ pension funds, has also invested in the fund. The PIC’s 2017 integrated annual report notes that the PIC has approved a R500-million equity funding commitment to the fund. SA SME Fund CEO Ketso Gordhan confirmed today by email to Ventureburn that the PIC had indeed committed R500-million. In a report yesterday by SA business daily Business Day, the fund said R725-million of the R1.4-million pledged has already been committed with the balance expected by August. The newspaper quoted Gordhan as saying that by August the fund is expected to be the “largest” institutional investor in venture capital in SA. It said of the R725-million committed, R265-million will be allocated to VC deals and incubation, R285-million for growth investments, and R175-million for impact and support investments. It said the total amount will support 10 significant black businesses, 200 SMEs, and five black entrepreneurs over the next five years. In addition to the fund, Business Leadership SA yesterday launched BLSA Connect, an online trading platform that will link multinational companies with black SMEs. Here then are the eight funds and one accelerator organisation that the SA SME Fund will work with. They include three VC funds, one accelerator, three growth capital funds and two funds aimed at impact investing. Knife Capital is a Cape Town based venture capital (VC) fund. In November last year Knife Capital partner Keet van Zyl, whose VC oversees the R100-million KNF Ventures fund, confirmed that the SA SME Fund had concluded an investment of R20-million in KNF on 23 October that year (see this story). At the time Van Zyl said there are plans to increase the fund to R150-million to R180-million, in which case the SA SME Fund would put forth an additional R10-million (KNF is run as a Section 12J Fund under the Income Tax Act and Section 12J rules don’t permit any one shareholder to have a stake higher than 20% in a Section 12J fund). KNF has so far concluded two deals that the SA SME Fund has taken part in. Both deals, which were signed in November last year, saw KNF invest in 5nines Technologies to grow its pharmaceutical temperature monitoring solution PharmaScout (see this story) as well as in an undisclosed investment in beverage startup Pura (see here). The Grindstone Accelerator, which is jointly owned by Knife Capital and Thinkroom Consulting, assists high-growth innovation-driven small businesses to become sustainable and fundable through a year-long programme. Ten startups are selected per cohort. So far four cohorts have been run — all in Cape Town. Earlier this week Knife Capital announced that it had joined forces with the SA SME Fund and Deloitte to launch the next iteration of its Grindstone Accelerator programme in Johannesburg — the first time a cohort is being run there. 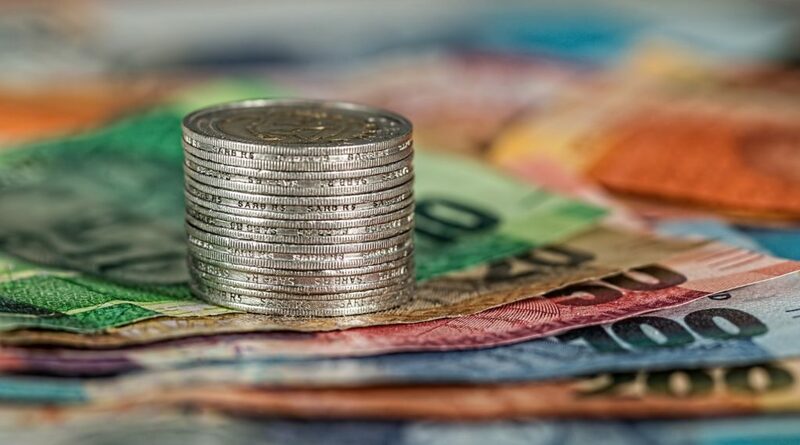 The SA SME Fund will make some funding available to cover more immediate needs participants might have of amounts of up to R1-million, according to Knife Capital (see this story). 4Di Capital is a well-established venture capital firm with a strong track record that will identify and invest into early stage tech businesses. Recently it has invested in Internet of Things (IoT) platform Sensor Networks, aerial data-analytics specialist Aerobotics and insurtech InvestSure (see here, here and here). Savant is a Cape Town based hardware tech incubator. 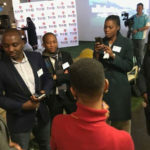 In February the incubator announced that the SA SME Fund had committed R110-million to Cape Town based hardware tech incubator Savant, with 50% of this amount earmarked for black African owned firms. The idea is that R100-million of the R110-million from SA SME Fund, will be committed towards the first close of a R100-million Savant venture fund that will invest in hardware tech businesses with products that are ready for market (see this story). SummerPlace is a first time woman owned and managed private equity fund which the SA SME Fund will be incubating. Summerplace, the SA SME Fund says, will focus on investing in existing SME’s with a high potential to grow. Growth Grid is a Cape Town based Section 12J Investment Company. The SA SME Fund is investing both into the existing Section 12J company that already has five investee companies and into a parallel fund that will invest in high-growth businesses. The SA SME Fund says Growth Grid has a seasoned team of investors who will help SMEs with market access. Firebird is a first time, relatively small fund that will focus on turnaround opportunities. “Saving jobs is as important as creating jobs and Firebird will try to focus on post commencement funding to businesses being saved,” the SA SME Fund says on its website. Spartan SME Finance is a debt financing house for SMEs. The SA SME Fund, Spartan and Black Umbrellas, an incubation organisation aimed at black small businesses, have entered into an agreement that will enable Spartan to provide funding to entrepreneurs who graduate from the Black Umbrellas incubators. In February, Spartan announced that it had secured a R100-million investment from The SA SME Fund to anchor its R600-million debt financing fund, with half of the investment or R50-million, to be channelled to black African owned businesses (see this story). The debt fund is expected to finance at least 100 small and medium-sized enterprises every year. Editor’s note (29 March 2019): This story was updated to include SA SME Fund CEO Ketso Gordhan’s confirmation today to Ventureburn that the Public Investment Corporation (PIC) had indeed committed R500-million to the fund.